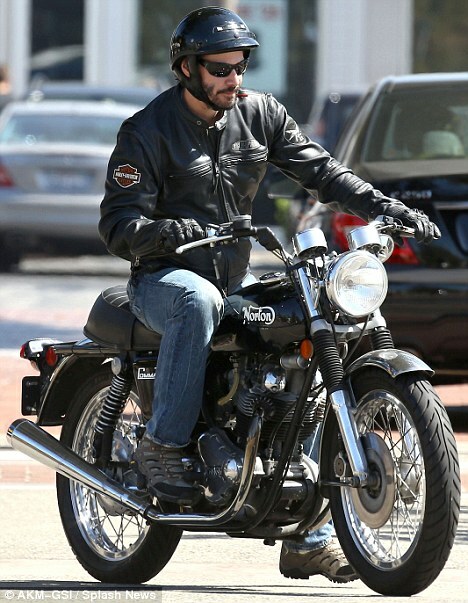 He's been hardly seen without his vintage Norton Commando Motorbike for the past month. 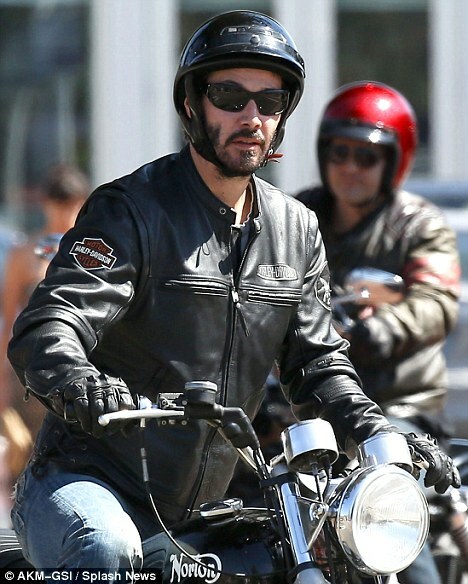 And road warrior Keanu Reeves took his beloved hog out for yet another spin in Malibu on Sunday along with some of his biker pals. 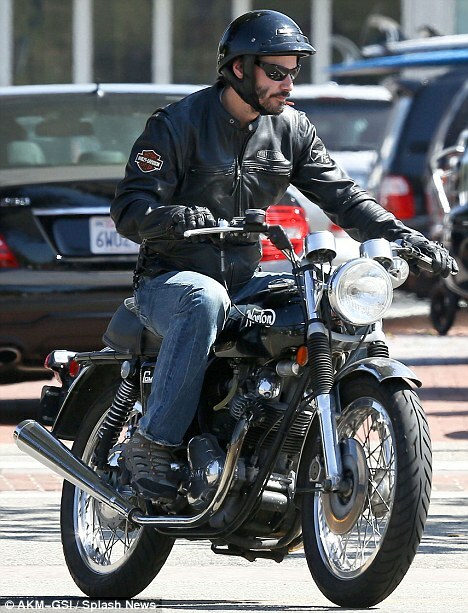 The Canadian 48-year-old sported a beard under his black helmet and a Harley Davidson patch on his thick leather jacket, which he paired with ordinary blue jeans. The Matrix star was also spotted on his hot wheels in Beverly Hills on Friday, and he somehow managed to haul a shopping bag full of James Pearse clothing on his bike last Wednesday in West Hollywood. The down-to-earth actor showed no stress from the rumours that his next project, 47 Ronin, is in jeopardy after its director was pulled from the film. 47 Ronin tells the story of a group of 18th century Samurai warriors who aim to avenge their master's death and is Keanu's first big screen action role since finishing The Matrix trilogy in 2003. The movie is in danger of turning into a John Carter-style flop after production costs exceeded more than $225 million, causing Universal co-chairwoman Donna Langley to take director Carl Rinsch off the project and oversee the editing herself. The studio has already had to reshoot scenes in London as apparently Keanu was left out of the film's final climactic scene. The source also claimed that with the extra costs incurred Universal would have to take half a billion dollars simply to break even on the project. Last month, the My Own Private Idaho star announced he will be reprising his role as Ted Logan in a follow-up to 1989's Bill & Ted's Excellent Adventure and Bill & Ted's Bogus Journey, which was released in 1991. Although he didn't reveal too much about the storyline, the Speed star admits the pair have lost some of their sparkle from the first two films and it needs finding again. Meanwhile, Reeves' documentary, Side by Side, has done very well in its limited release and currently has a 94% approval rating on Rotten Tomatoes. 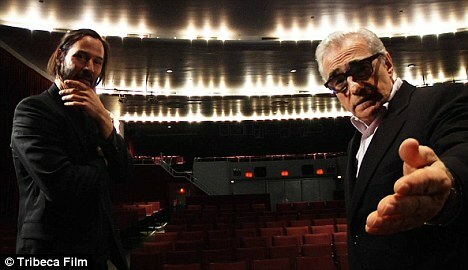 Keanu produced and moderates the digital versus film debate with filmmakers like George Lucas, James Cameron, David Lynch, David Fincher, Martin Scorsese, Christopher Nolan, Steven Soderbergh, and the Wachowskis. The Point Break stud will also appear in next year's Man of Tai Chi. Greetings! Very helpful adѵicе within this агtісle!